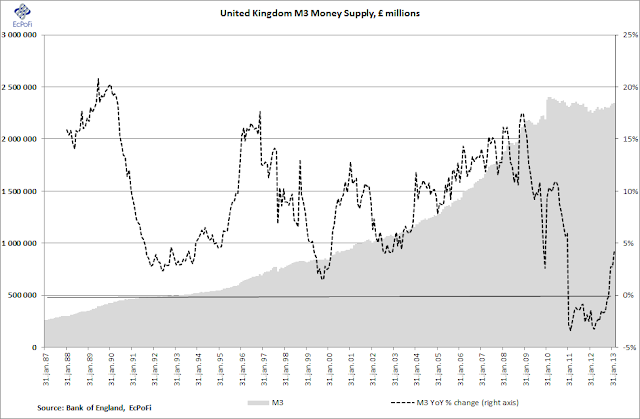 The M3 money supply for the UK (the monthly amounts outstanding of monetary financial institutions' sterling and all foreign currency M3 liabilities to private and public sectors, not seasonally adjusted) increased 4.4% compared to last year in February figures released by Bank of England show. This year-on-year increase was the highest since December 2010. 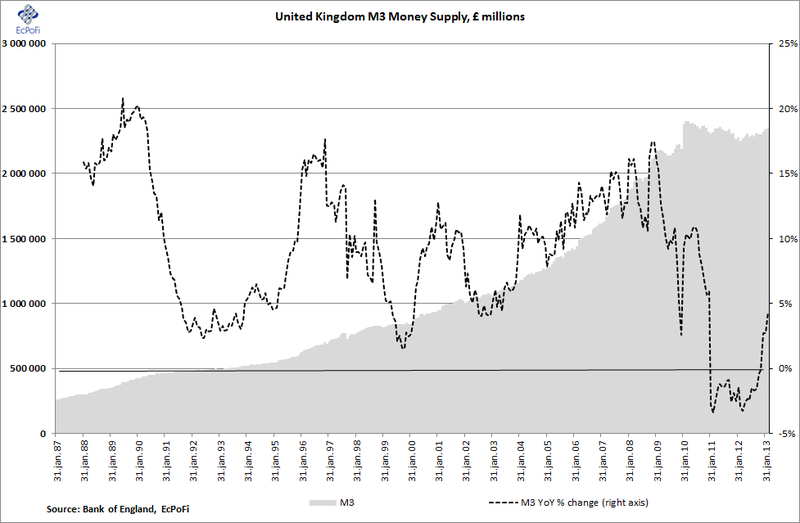 At £2.3485 trillion, the current M3 money supply is 2.2% lower than the record high £2.4003 trillion from March 2010. 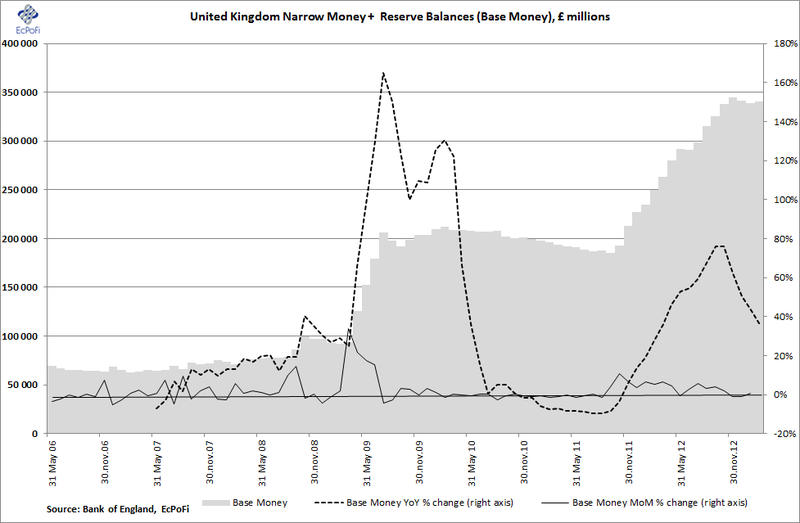 UK narrow money plus reserve balances ("base money") for the month increased only 0.7% on January, but was up 36.3% on February last year. As previously reported, we expect the UK money base to continue expanding going forward according to statements made by the BOE.